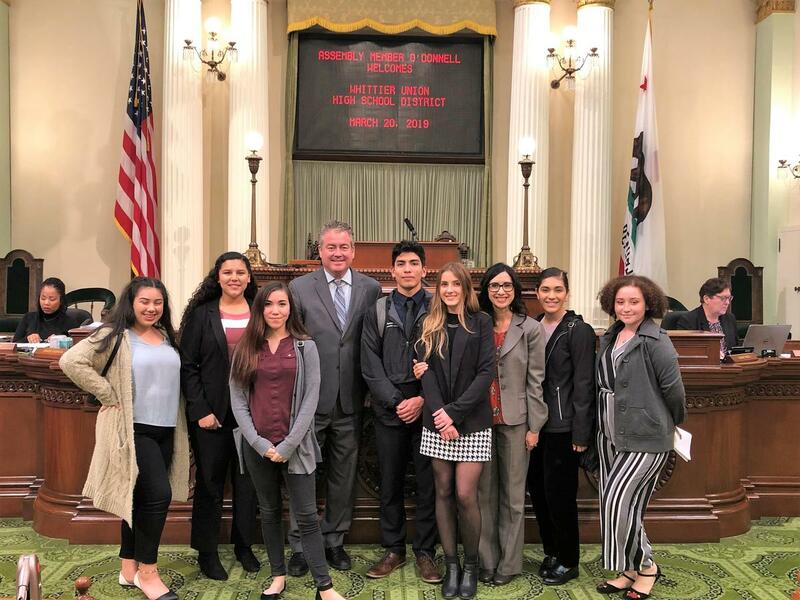 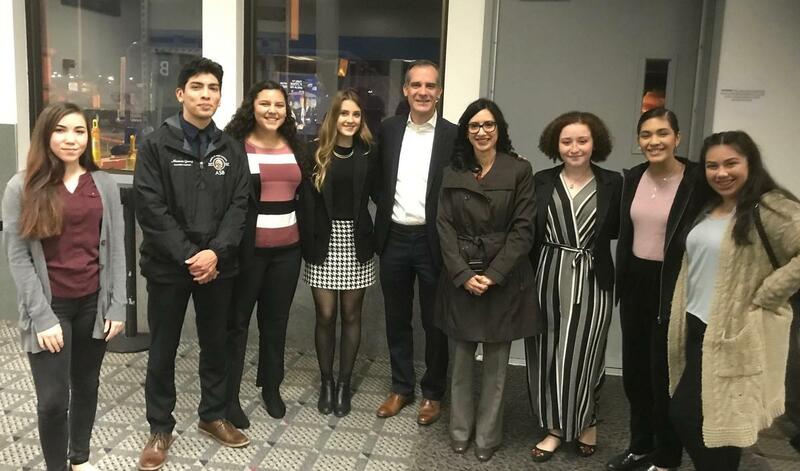 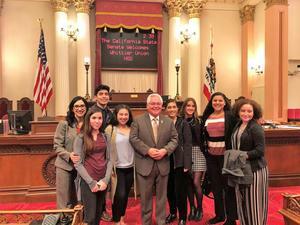 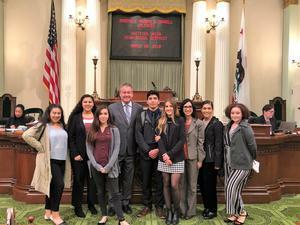 A group of seven Whittier Union students on March 20 toured California’s historic State Capitol and met with local lawmakers to learn about the legislative process. 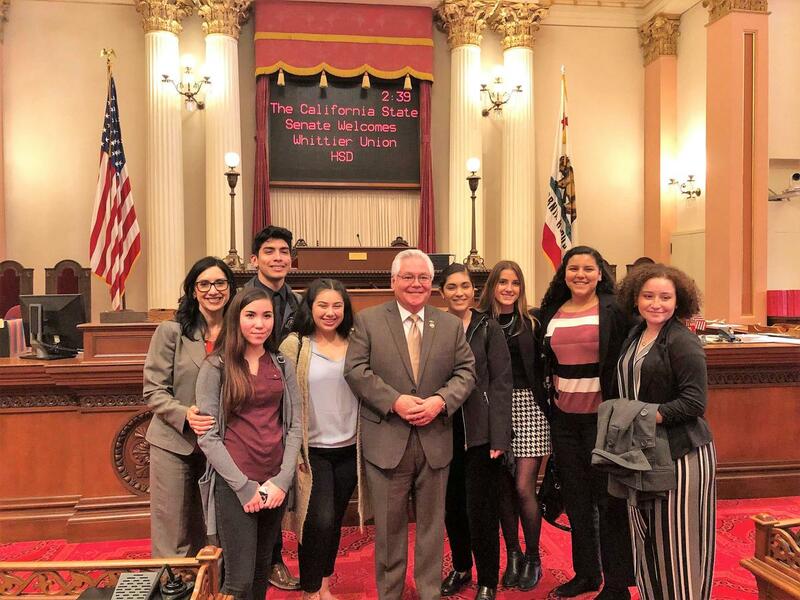 Student leaders Delilah Perez (California High School), Alyx Phillips (Frontier High School), Camden Painton (La Serna High School), Samantha Perez (Pioneer High School), Maximas Gomez (Santa Fe High School), Izabella Sanchez (Sierra Vista High School) and June Ybarra (Whittier High School) visited Sacramento and met with Senator Bob Archuleta, who represents the 32nd District, and Assemblymember Patrick O'Donnell, who represents the 70th District. They were joined by Assistant Superintendent of Business Services Dr. Monica Oviedo. 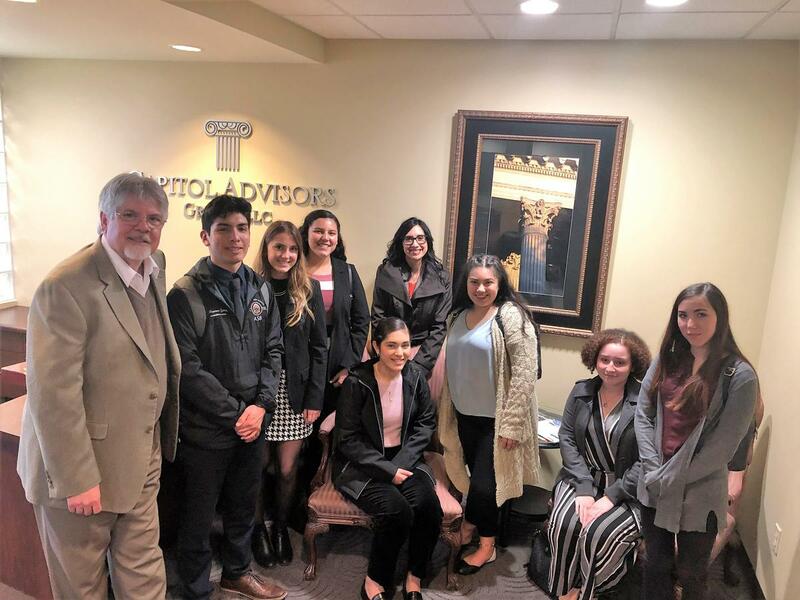 Students also met with a representative for Senator Mike Morrell, who represents the 23rd District, and representatives for Capitol Advisors. 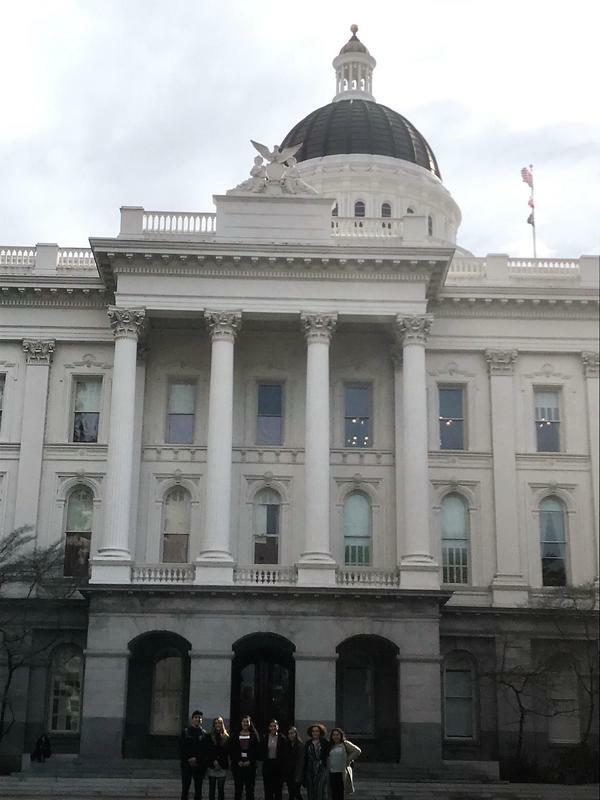 They also toured the Capitol with a representative from Archuleta’s office. All students are members of the District’s Student Advisory Council, which is tasked with discussing school events and activities, attending board meetings and meeting with the superintendent to discuss school issues. 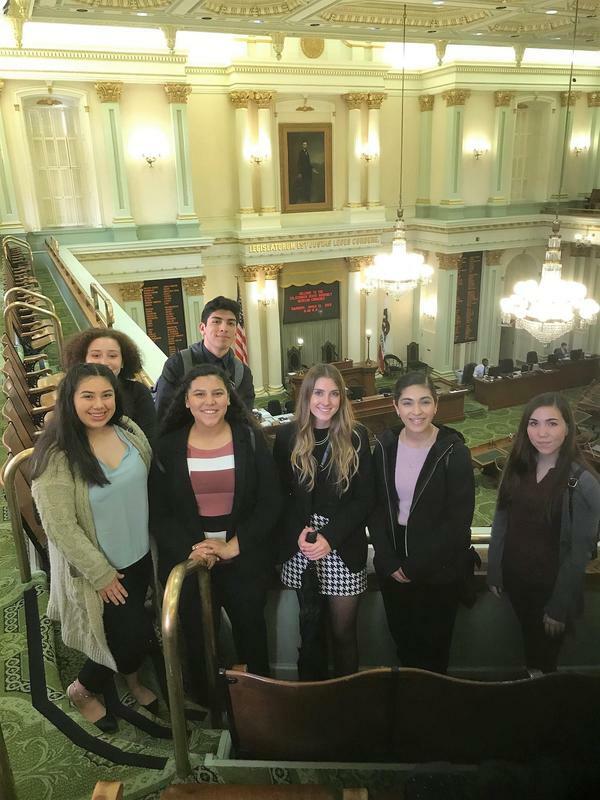 They also gather student input for the District’s Local Control and Accountability Plan (LCAP), which guides spending of state funds.